Porterage at hotels and airports, tips, insurance, laundry, liquors, wine, mineral water, telephone charges all items of personal nature. 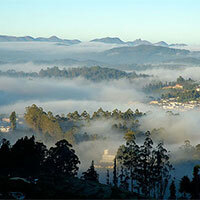 Arrive Coimbatore and transfer to Coonoor. Check into the hotel and further go for sightseeing that include Dolphin nose, Sims park, Ketty valley, Kodanadu point, Lambs rock, Tea garden view and Todamund. Overnight stay at hotel. 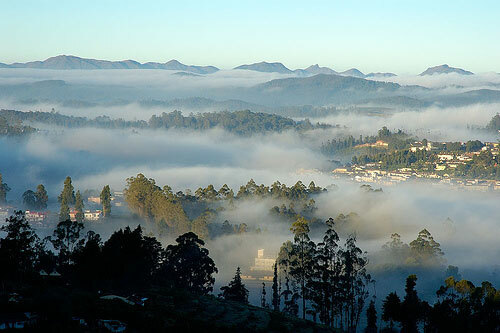 Morning after breakfast, go for a day excursion to Ooty, the "Queen of Hill stations". Visit Ooty botanical gardens, Rose Garden, Doddabetta peak & the Ooty lake for boating. Evening return to Coonoor for overnight stay. Day 3: Conoor - Coimbatore. Morning after breakfast, check out and transfer to Coimbatore Airport or railway station for your further journey. Tour ends.